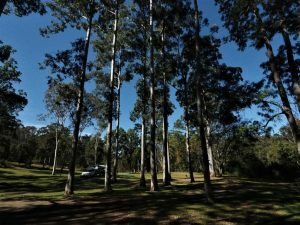 On Thursday 14th June Phil and I drove up to Peach Trees Camp Ground near Jimna State Forest. For those not familiar with the area, its truly a beautiful spot where you can get away from it all, and the bonus is that its not that far away from the Coast. Only a handful of club members turned up, but, that didn’t really matter, as we had a great time. 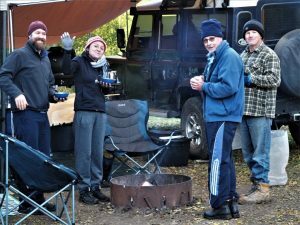 Glenn and Bow MacDonnell, Dave Torcello and Rob and Sue Hammond arrived on Friday. Geoff and June Taylor drove out for the day on Saturday.